Did Cicero know the same Aristotle that Thomas Aquinas knew in the 13th century and we can know today? Did he have access to the same Aristotelian texts which Andronicus of Rhodes used in the First Century B.C. to create his Aristotelian corpus? 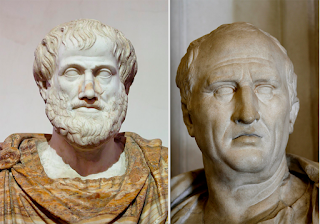 In his essay, “Cicero on Aristotle and Aristotelians,” Walter Nicgorski says that Cicero had more of Aristotle’s work available to him than most people before and after Cicero’s lifetime. Nicgorski points out that Cicero lived at the juncture of time and place when and where the Aristotelian corpus of Andronicus was being compiled and made available to scholars. But this was also the time and place when and where the writings of Aristotle started disappearing and many of the texts were completely lost. Cicero was deeply interested in philosophy—it was his primary concern to bring Greek philosophy to Rome. He was in touch with other Roman scholars, and therefore it is likely that he had full knowledge of the enterprise of assembling the Aristotelian texts which was going on in Rome during his lifetime. 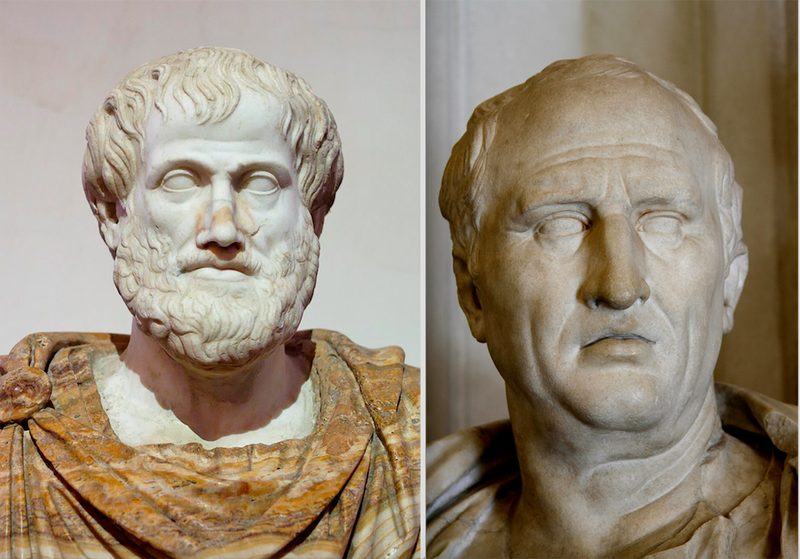 According to Nicgorski, Cicero’s writings support the idea that he consulted Aristotle’s non-popular works (commentarios) which were then being recovered and assembled. In the reference to these works at De Finibus v. 12, Cicero actually uses the Greek cognate (ἐξωτερικόν) for “exoteric” to describe the popular works which are contrasted with those (limatius) “more carefully composed” commentarii, usually translated as “notebooks”. In this passage, Cicero reveals that the distinction between the exoteric works and the notebooks is one which the Peripatetics themselves make, that it is a distinction which applies to various works of the school, not simply to Aristotle’s writings, and that he is sufficiently familiar with both the exoteric writings and the notebooks to comment on the appearance of inconsistency between them with respect to content. Cicero did not, it seems, know with assurance that our Nicomachean Ethics and Politics were works of Aristotle. Cicero cites neither of these works directly, though he mentions the Nicomachean Ethics and shows himself aware that this work is attributed to Aristotle; he himself is inclined to think it was authored by Aristotle’s son Nicomachus. Though the scholarly consensus is that Cicero did not know our Politics, there is a possibility, as the late Elizabeth Rawson suggests, that he knew the Politics or much of it as the work of Theophrastus, Aristotle’s successor as head of the Peripatetic school. Whether or not Cicero did give close attention to the texts of the Nicomachean Ethics and Politics or encountered their teachings in other sources, his work shows the impact of such teachings and appears largely consistent with them. The teaching of the Ethics is quite clearly reflected in De Finibus, especially in Book II where Cicero speaks in his own persona, and the De Finibus is a book that Cicero regards as his most important and that treats the topic which he holds to be foundational to all philosophy. Quite directly Cicero associates what he does in De Re Publica and De Legibus with the tradition of political inquiry in which Aristotle and his school are perceived as distinguishing themselves. Could not the Politics or some version of it be what Cicero has in mind when he so credits the Peripatetic heritage in political philosophy? It is also noteworthy that Cicero saw Aristotle as a follower of the Platonic and Socratic traditions. In De Officiis, he says, “[M]y philosophical writings differing very little from Peripatetic teachings, for both I and those men wish to follow in the socratic and Platonic tradition..."